It’s natural to have questions when working with software development firms for the first time. Here are 5 that we recommend you ask going into a project. Business, like the world, has gone the way of technology. Nowadays, we sign contracts, execute transactions, and store important documents through various pieces of software. 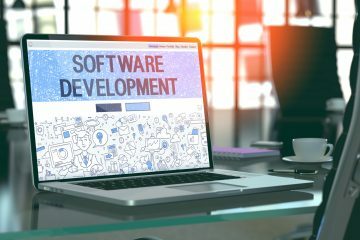 At the core of our programs, online tools, and other computer-based business needs are the software development firms that produced them. Those firms are the same ones you call on when you need a new piece of software to smooth out your multiple business tasks. You’re counting on them to make your job easier, not harder. Before outsourcing to a software development firm, there are five very important questions you need to ask prospective firms. How Does The Firm Communicate? Communication is one of, if not the most imperative aspect of conducting a business. How well your chosen software development firm communicates determines how well your new software will turn out. Being able to speak to a human either face-to-face or over the phone personalizes your experience with the firm. Chatting with a team member live also ensures that they have received any messages you’ve left or know to look out for them. However, written communication has a big advantage over in-person or phone communication. Written communication is transcribed, so all participating parties know exactly where they should be and what they should be working on. The firm you contract with should use written communication throughout your software’s development. That way, your order and its progress can be easily tracked. It also gives you a record in case your order doesn’t turn out the way you wanted. 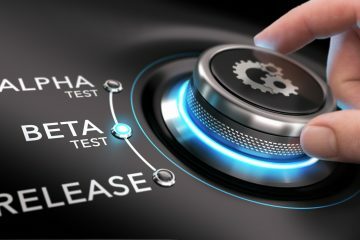 What is the Firm’s Process? All successful businesses have a process. Every business’s process is different as well as flexible to some degree. This process is more or less a checklist of all things that must be addressed during all phases of a development project. These things include brainstorming, building, testing, and tweaking. Go with a firm who can give you a rough outline of their process. if you don’t, the end result may be a sloppy, buggy mess that takes much longer to release. Does the Firm Offer New Ideas? Every project is different and requires new ideas to be successful. The firm you select should be competent enough to realize this and ready to meet the challenge. You can tell if the firm in question meets this requirement if they ask questions throughout your pitch. They should also be able to provide developmental insight about your vision for your new software. It is hard to keep up with new technology, especially if you’re not in the industry. As such, you’re bound to have questions about what you want and how possible it is. A good firm to contract is the firm that takes the time to answer those questions. It will also take the time to explain the process in common terms. Software development projects aren’t assembly line projects. The best software development firms won’t treat them as such, either. A good firm will listen to what you want and adjust their process and approach as necessary. They will also be able to adapt to and keep up with your latest business tweaks. 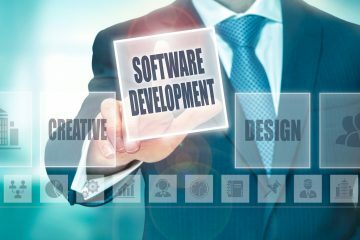 Want to Know More About Software Development Firms? Just Ask! Product development, web development, cloud enablement–we address it all at Ionixx Technologies! Reach out to us with any questions or concerns you may have, and we’ll be happy to help!